Lead-acid battery charger / AGM / gel / OPzS - UC series - Layer Electronics s.r.l. Electricity - Electronics - Optics > Power Supply > AGM battery charger > Layer Electronics s.r.l. 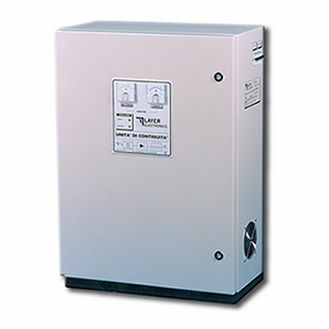 UC series Layer Electronics s.r.l. The UC Power Supplies from Layer Electronics has a robust design, and act in accordance with thyristors technology. It provides high reliability under challenging environments, such as instances of sudden temperature change and lightning occurrence. This power supply can be applied on radio links, operating theaters, electrical cubicles for actuations of motor-reduction for switches, and other industries.